On 1 January 2018, the four-year medicinal cannabis pilot programme was implemented. 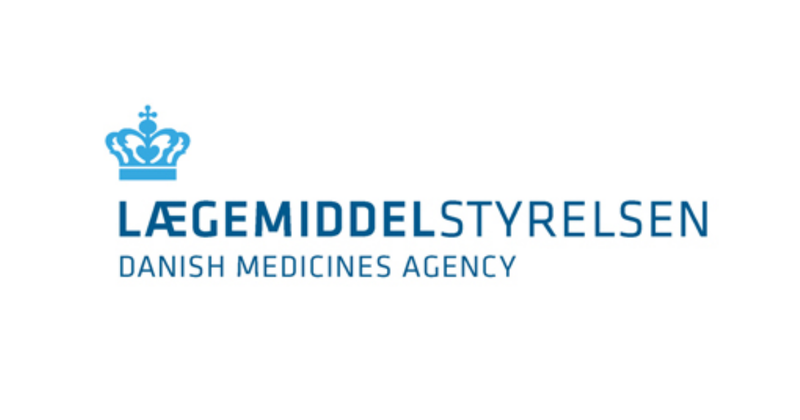 The Danish Medicines Agency has the responsibility of reviewing applications for admission to the list of cannabis intermediate products and cannabis primary products according to section 7(1)-(3) of the act on the medicinal cannabis pilot programme. The definitions of a cannabis intermediate product and a cannabis primary product are found in the act on the medicinal cannabis pilot programme (in Danish only). Under the pilot programme, all cannabis intermediate products and related cannabis primary products must be admitted to a list published by the Danish Medicines Agency. The list allows everyone to see which cannabis products are comprised by the pilot programme, and accordingly which products may lawfully be prescribed by doctors and lawfully dispensed by pharmacies in Denmark. You should therefore apply to the Danish Medicines Agency for admission of cannabis intermediate products and related cannabis primary products to the list. When a cannabis intermediate product is admitted to the list, it will be available on prescription by doctors and dispensing at pharmacies in accordance with the pilot programme. Note, however, that information about packages and prices must first be notified to the Danish Medicines Agency via DKMAnet – Prices and Packages before the product can be prescribed and dispensed. It is possible to apply for admission of a cannabis intermediate product and its related primary product to the medicinal cannabis pilot programme. The primary product concerned can either be imported or produced in Denmark from Danish-grown cannabis. If you would like to have a cannabis intermediate product included on the list of products admitted to the pilot programme, you need to send an application to the Danish Medicines Agency. The application form must be completed with all the relevant information about the cannabis intermediate product and its related cannabis primary product as required by the legislation. Along with the application, you must submit documentation that the cannabis products comply with the requirements. The completed application form and annexes should be sent to the Danish Medicines Agency by email to medicinskcannabis@dkma.dk. Questions regarding applications for admission of cannabis products to the list of cannabis intermediate products and cannabis primary products should be emailed to medicinskcannabis@dkma.dk. The Danish Medicines Agency sends receipt letters and letters of decision with digital mail to Danish companies. The requirements for admission of cannabis intermediate products and related primary products appear from the Act on a Medicinal Cannabis Pilot Programme. We specifically refer to section 5, which lays down the requirements for an imported cannabis primary product. From the link below, you will find the application form and a guide with instructions on how to complete the form and the documentation to be enclosed. Here, you can also read more about how to fill in the form and about the requirements for the cannabis intermediate product and the related primary product. The requirements for admission of cannabis intermediate products and their related primary products appear from the Act on a Medicinal Cannabis Pilot Programme and in the executive order on cultivation, production and distribution of cannabis bulk and production of cannabis primary products. We specifically refer to section 46 of the executive order, which lays down the requirements for the production of a cannabis primary product produced in Denmark. If the cannabis intermediate product is admitted to the list of cannabis primary products and cannabis intermediate products, you have to submit a notification with information about prices and packages as well as your supply estimate to DKMAnet – Prices and Packages before the product can be available on prescription. A price period runs for 14 days, which means that the price cannot be changed during this period, and you can only notify us of changes in prices and packages every fortnight. This is described in the executive order on medicine prices and supply conditions etc. for cannabis intermediate products and cannabis products (in Danish only). You can only notify us of prices and packages for your own cannabis intermediate products that are included on the list. If the intermediate product manufacturer does not have access to DKMAnet – Prices & Packages, the company needs to obtain an employee certificate. Read more about how to gain access. You need to apply well in advance as it may take a couple of weeks to get rights and access rights in place. If you experience any problems when you submit notifications via DKMAnet, please contact DKMAnet Support for Prices & Packages on +45 44 88 96 94 or by email to: medicinpriser@dkma.dk. The support for DKMAnet – Medicine prices is open daily from 8.30am to 3.30pm on +45 44 88 96 94. Every other Monday, phones are open one hour longer to 4.30pm (in weeks when prices and packages must be notified). In addition to the national holidays, the Danish Medicines Agency is closed on the day after the Ascension Day, Danish Constitution Day (5 June) and between Christmas and New Year.